Enjoyed your experience? Then book your next cruise onboard. Most major cruise lines offer significant savings and additional perks for those who book their next cruise onboard. In many cases, you don’t even need to choose a particular sailing on-the-spot; a minimal deposit will do the trick to secure your place on a future cruise. So, if you’re having fun and foresee yourself sailing again with the cruise line, it’s to your advantage to visit the onboard cruise consultant and start making plans for your next cruise. 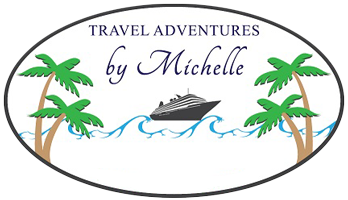 Onboard cruise consultants (found on most lines/ships, although the exact title may vary) are a good resource to help you plan your next cruise in addition to your travel agent. Since you’re already aboard the ship and have had the opportunity to recognize your needs and preferences, you can be guided toward a sailing and ship tailored to better accommodate you on your next cruise. Perks and incentives vary by cruise line, and in some cases, by sailing and stateroom, but you’ll most likely be offered the lowest available pricing, a reduced deposit, and onboard credits. Many lines offer additional savings – parlaying past passenger and/or early booking savings – to the already lowest price. Also, since you’re booking directly with the cruise line, the cruise consultant can tap into any current promotions to further enhance your booking, if applicable. Here’s the additional bonus. Once you’ve made your booking, you can transfer it to Michelle Jackson. We can then offer you the personal service of monitoring the booking, making any changes you might request, applying any additional offers and/or savings to optimize your benefits, and notifying you when final payment is due. Disembarkation is a process of getting hundreds or thousands of people off the ship in a safe and expedient manner. You will be assigned a disembarkation time based on your need to get off the ship (i.e. impending flight home) or on your status in your cruise line’s loyalty program. Those with physical needs will have priority. Also, you may have to clear customs if the ship traveled outside your country’s waters. Remember, the cruise line staff is trying to process numerous passengers off the ship, so patience is key.